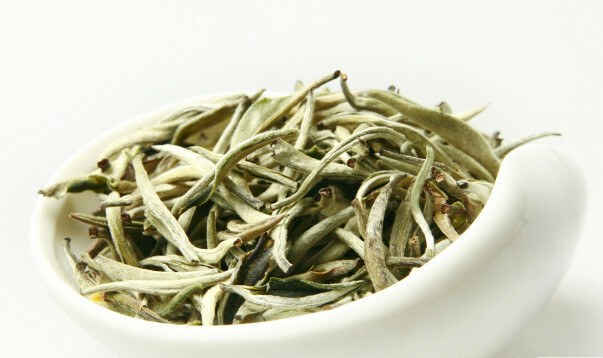 moonlight white tea is new created tea, its name mainly from the production method. Another way of talking is: the roughcast of every batch of tea must be finished within a day.This tea was picked its tender buds as material under the moonlight in night, and it can’t see the sun from its recovery to its process complete. 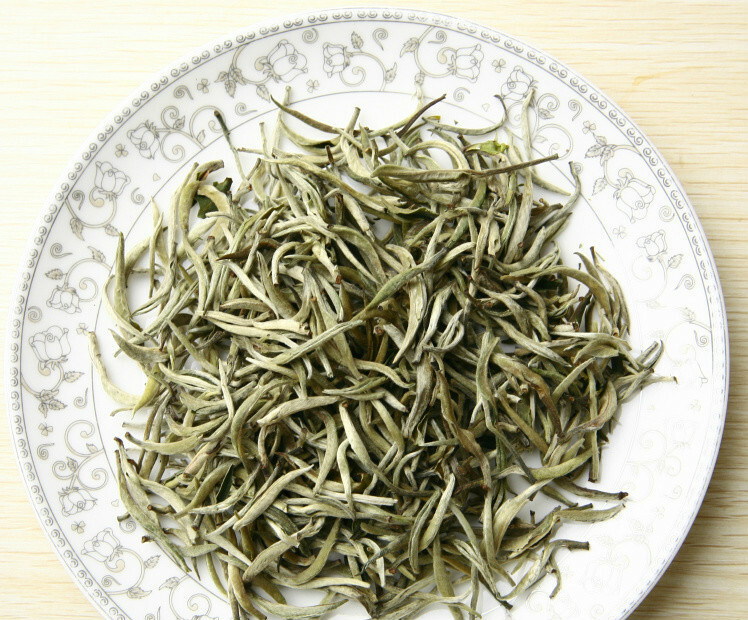 It can only dry under the moonlight and this tea was only picked by the local beautiful young girls, and thus it got the name as” Moonlight Beauty”. 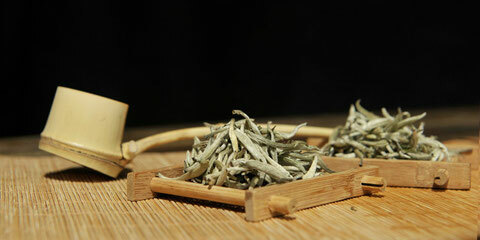 Moonlight Beauty, it is a kind of puer tea, and it is mainly produced in Simao region of Yunnan Province. 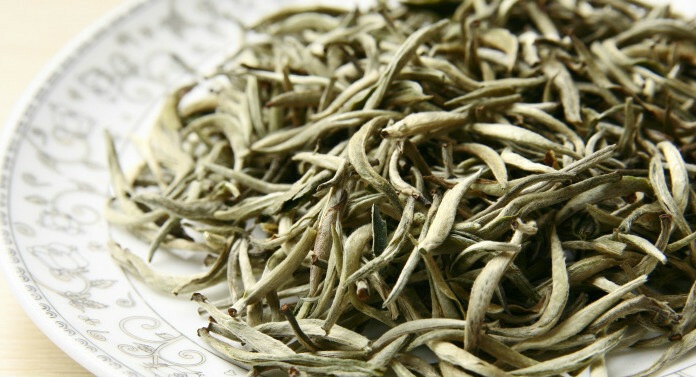 White Moonlight Tea was a royal tribute tea which was selected from many famous teas and it also got the name as queen’s tea. It was folk highly praised as” seven princess” who was holy, pure and noble and recognized as the beautiful incarnation of “seven princess”. 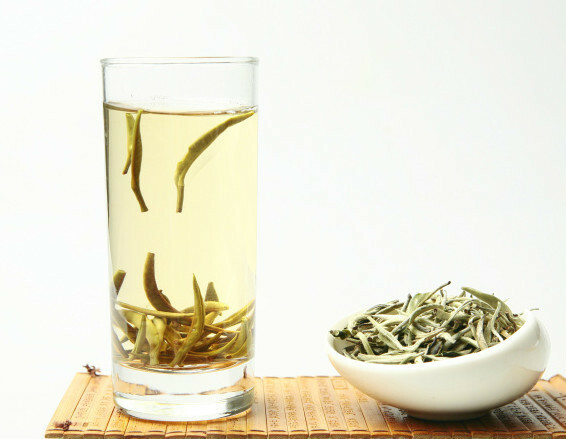 The White Moonlight Tea selected the tender tip vanes of the ancient arbor spring tea which has one bud one leaf or one bud two leaves as material. 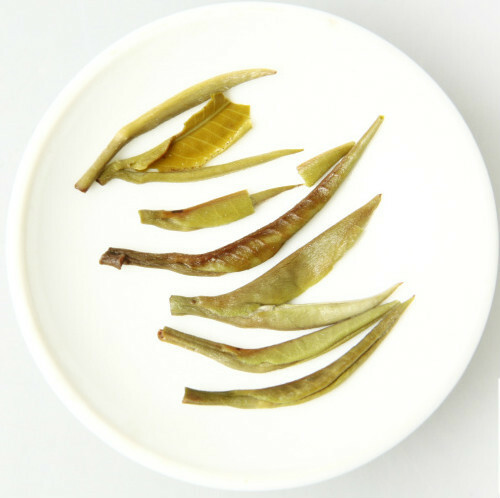 Charming growth of the bud core, blade shows pekoe with more villus, unobvious blade context, flesh blade with elastic and rich vitality, the upper blade is white and the below blade is black, it just like that the moonlight shines on the tea buds. 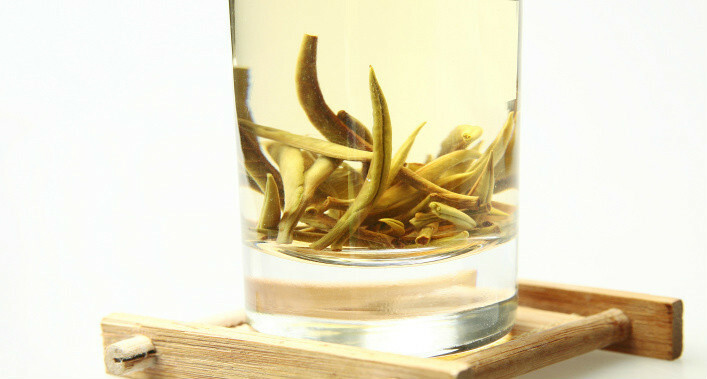 The tea liquor color is bright green yellow, it is yellow at first and become red in later, and then it will become yellow again, and it will be brighter and clearer with repeated brew. The lingering fragrant aroma which is refined and elegant and if you pay care attention to it you will find an interesting phenomenon: In the first pass of the tea, the similar honey fragrance is waving with gas and come, and then it smells like elegant fruit fragrance or the quietly elegant flower fragrance. 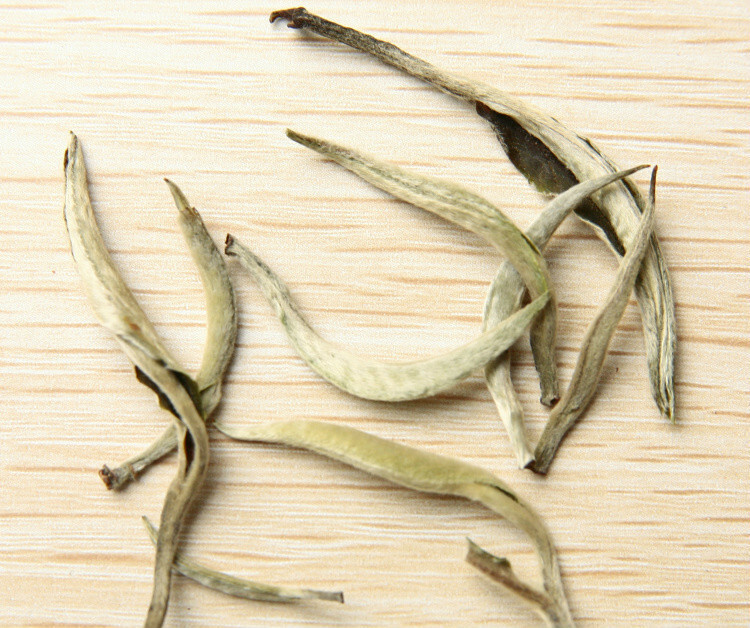 With the increase of the brew of the White Moonlight Tea, the tea fragrance seems to vary delicately. 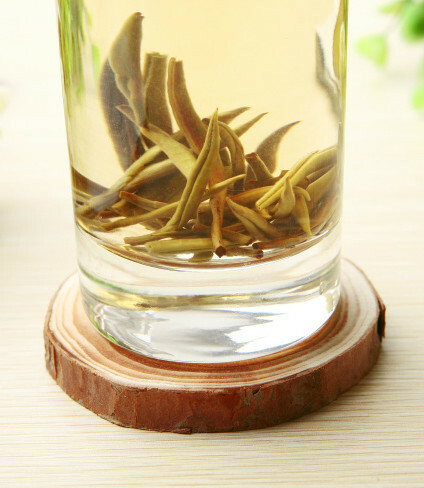 With full mellow taste, this tea drinks mild and mellow and there is lingering aroma on tongue and lasting sweet aftertaste after you have drunk it. In addition the Moonlight Beauty has the value of health care, appreciation and collection. 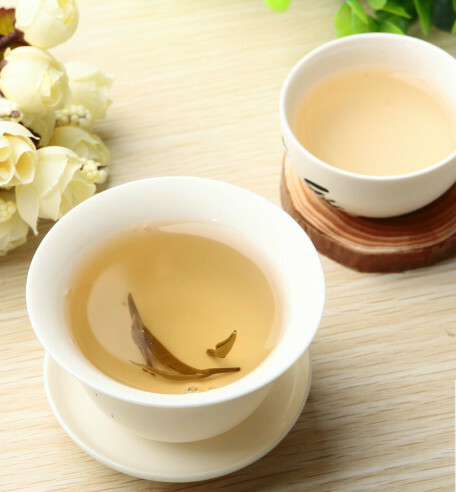 The product has faint scent and delicate taste as well as the assessicity of anti-cancer, invigorating the stomach, losing weight, falling blood pressure. 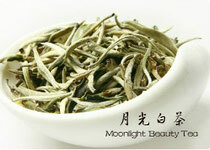 Moonlight Beauty has the outstanding effects on beautification, moistening skin, reducing lipid and losing weight. It contains tea polyphenol compounds, lipopolysaccharide, amino acid and caffeine which are beneficial to weight loss as well as the reductions of cholesterol and triacylglycerol. 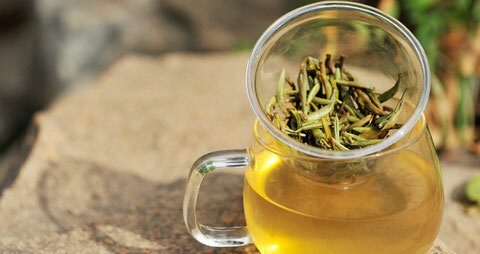 It is an indisputable fact that the tea extracts was used for beautification and skin care. 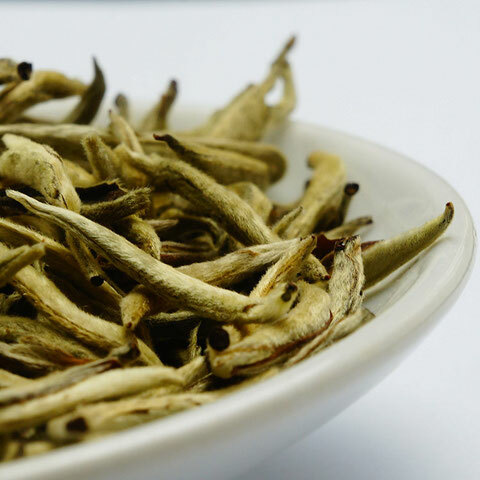 The AHAS that the White Moonlight Tea contains can remove dead skin cells and make new cells faster to skin surface, and thus to tighten skin, reduce wrinkles and whiten skin with spotless.